Country music entertainer Jason Aldean showed his support for first responders by playing in the Battle of the Badges charity softball tournament! 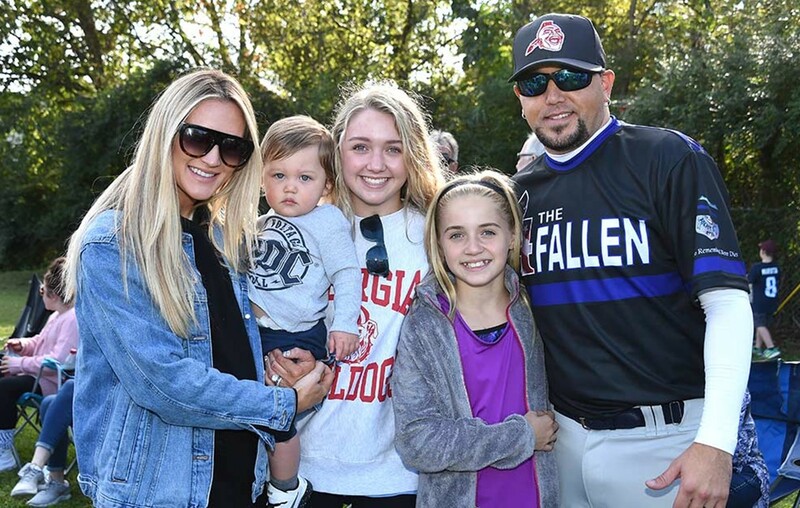 On Saturday (Oct. 20), country music superstar Jason Aldean participated in the Battle of the Badges charity softball tournament held by the Spring Hill Police Department, Spring Hill Fire Department, and the Tennessee Highway Patrol. The event raised funds for the families of two fallen first responders who lost their lives in the line of duty, Dickson County Sgt. Daniel Baker and Lawrenceburg firefighter Jason Dickey. Sgt. Baker was shot and killed in May during a suspicious vehicle call and Jason Dickey died in February while battling a house fire. “I love helping people do things like this, raise money for great causes, and it’s something that I’ve been fortunate enough to get involved a lot over the years,” Aldean shared with Nashville’s Fox 17 station. Also at the tournament were Jason’s pregnant wife Brittany, son Memphis, and daughters Keeley and Kendyl! “We had a great time today supporting the local Fire and Police Departments! Thanks for all you do🙌🏼,” Brittany shared via Instagram along with some cute snapshots. What an awesome way to help out! 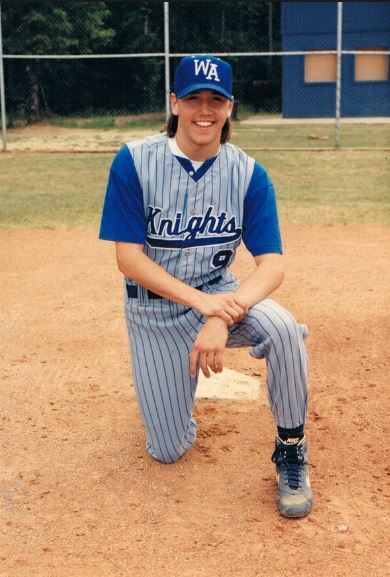 As fans know , Aldean was an avid baseball player during his high school days at Windsor Academy in Macon, Georgia. Although he was offered college scholarships to continue playing the game, Jason decided to pursue a career in country music instead. Share this update with other Jason Aldean fans and check out his upcoming concert dates!